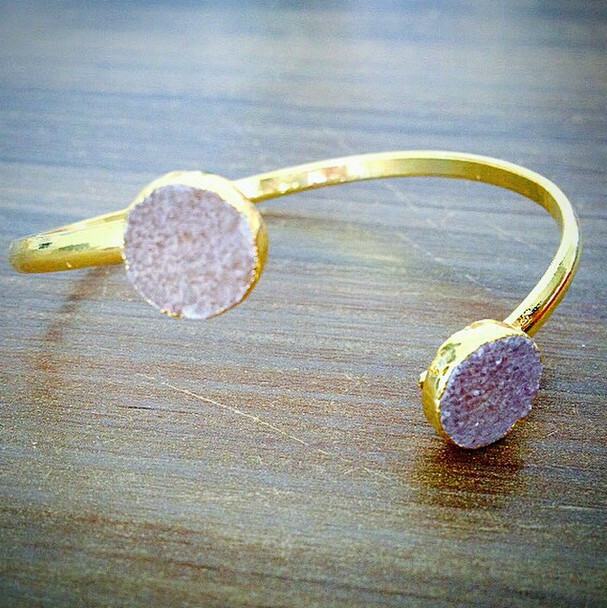 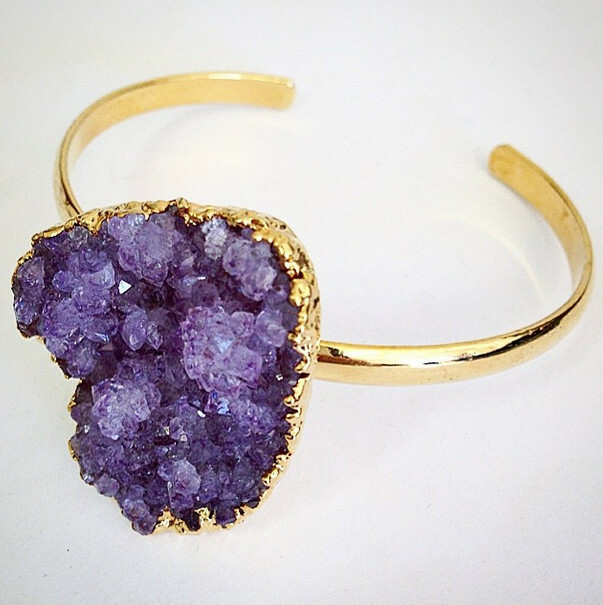 A thin bracelet plated in gold or silver with one or two brazilian druzy. 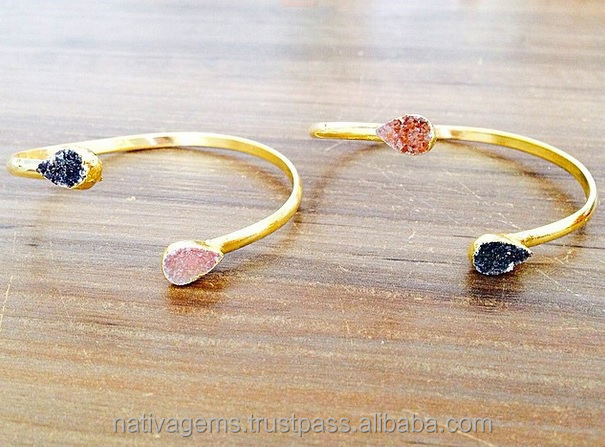 3 Shapes available: Free form or In Shape (Marquise, Oval, Round, Square and Teardrop). 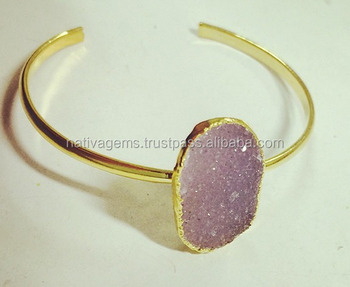 4 Druzy measures available: Free Form in Small (10 to 24 mm) or Medium (25 to 35 mm); In Shape in 10mm, 15mm, 20mm and 25mm.